Is Colonic Cleansing Safe and Necessary? While it may seem like a recent health phenomenon, the practice of colonic cleansing dates back to the late 19th and early 20th centuries. Dr. James Kellogg promoted “detoxification” therapy by colonic cleansing combined with the use of surgery to achieve better health and well-being. But, by the early 1900s, researchers were disproving many of his unscientific theories, which in turn led the American Medical Association to condemn these practices. By the 1920s to 1930s, these remedies all but fell out of favor. 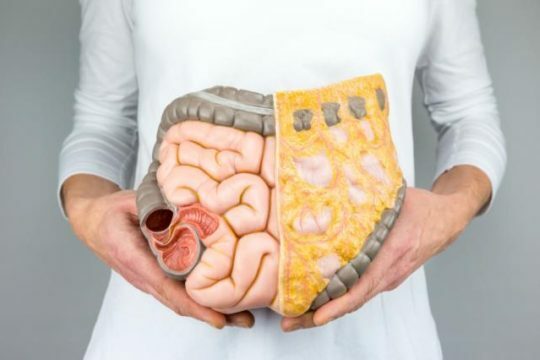 Today’s Internet banner ads, television infomercials and glossy print ads tout the benefits of colon cleansing for a healthy colon, quick weight loss and an increase in energy levels. The so-called “natural” colon cleansing products on the market are unregulated by the U.S. FDA, making advertisers’ promises, in reality, just unsubstantiated claims. While the idea of ridding one’s body of built-up toxins from sugar, alcohol, caffeine and meat is appealing, the truth is that the data supporting colonic cleansing and body “detoxification” have not been studied sufficiently in clinical trials. Carol Burke, MD, Director of the Center for Colon Polyp and Cancer Prevention in Cleveland Clinic’s Digestive Disease Institute, warns of the hazards and lack of evidence to support these therapies. “There is no evidence to support their benefit; there is only evidence of their complications,” adding that complications may include rectal perforations from colonic irrigation and enema therapy, oftentimes requiring surgery. Despite its history and lack of published research, the practice has gained considerable popularity, often with Hollywood celebrities using starvation techniques to achieve quick weight loss. The human body produces natural bacteria in the colon to detoxify food wastes, and the liver neutralizes toxins. The colon sheds old cells about every three days, which prevents a buildup of harmful material. And the colon’s mucus membranes keep unnecessary substances from re-entering the tissues and bloodstream. What proponents of “natural” cleansing or laxative therapy don’t tell consumers is that increasing the number of bowel movements does not result in weight loss. The fact is that the body absorbs most calories before they reach the large intestine. For an appointment at the Digestive Disease Institute, please call 216.444.7000 or toll-free at 800.223.2273, extension 47000.